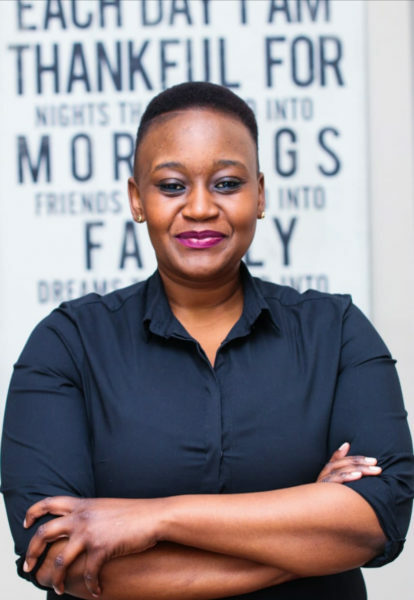 A Wits alumnus has been appointed as the first female mining manager at Impala Platinum’s (Implats’) Rustenburg operation. Nonkululeko Mabuza, 33, was promoted on March 26, after working for Implats for seven years. She was appointed as a miner in 2012, after completing an honours degree at Wits thanks to an Implats bursary. During that time, she would work at Implats during vacations, and went on to participate in the company’s training programmes. In 2017 she became a mine overseer, a position she held until last week’s promotion which saw her join the very few women in managerial and executive positions at Implats. The mining engineering industry is still very male-dominated, said Mabuza, adding that women were an untapped reserve that could improve the industry. ”We bring another dimension of thinking…the way we think is different; the way we approach problems and people is different,” she said. Mabuza sometimes works 13 hours a day and says that these conditions make mining an unattractive prospect for many women. While she is not a mother herself, she said that women are often forced to strike a balance between work and family. According to Implats group head of talent and transformation Carla Radloff, the company has no more than 30% women in executive, senior, middle and junior management positions. “The company is striving to achieve with continuous efforts to focus on advancing women in core occupations and to ensure that we (Implats) retain them. “Female Advisory Committees (Women In Mining forums) are being re-established with the purpose of addressing barriers to employment or retention of females in a workplace,” Radloff said. “What we all need is just a chance,” said Mabuza. “We must be given equal opportunities to perform.” She added that future female mining engineers “need to learn from every person that [they] meet, whether they’re willing to teach you or not”. Wits fourth-year mining engineering student, Anelisa Zimema, told Wits Vuvuzela that stories like Mabuza’s give her hope. “There is a lot of opportunity for us (females). Don’t dismiss yourself,” she said.